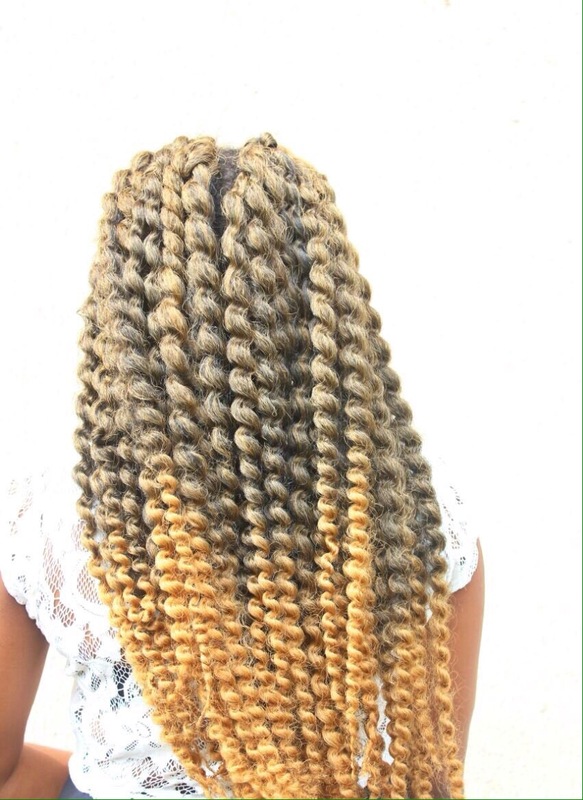 Crochet twists are fun, easy to do protective style that still give you access to properly take care of your hair. 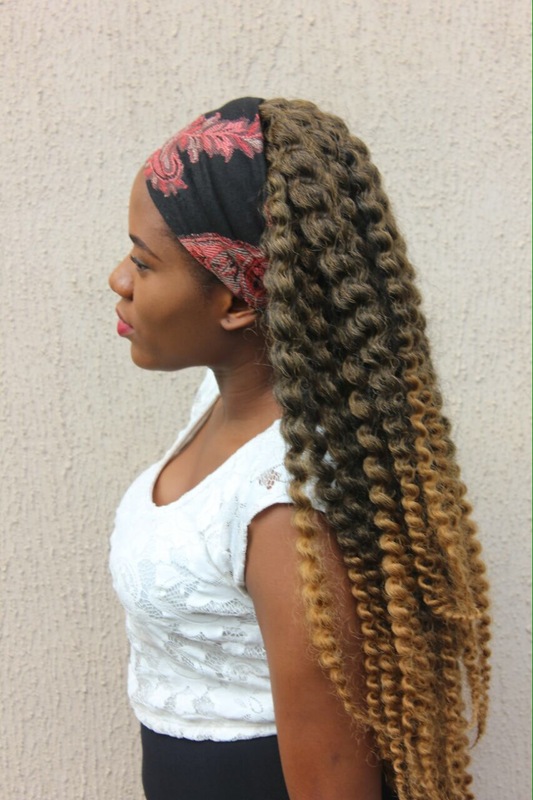 A protective style would help to protect your hair from harsh summer rays and pool chemicals but still ensure you pay attention to your natural hair underneath. Apply a bit of coconut oil to your palms and gently unravel each twist, the coconut oil helps to prevent the hair from frizzing. 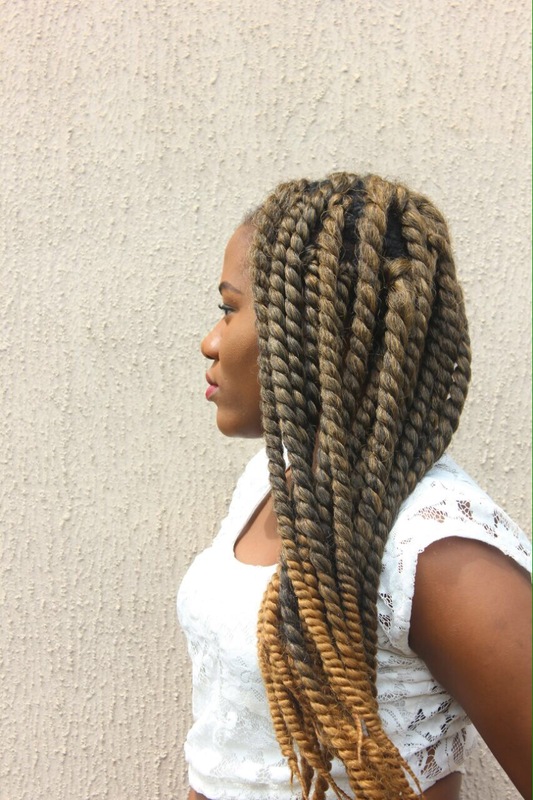 The unraveled twists make for a bigger and bolder look. 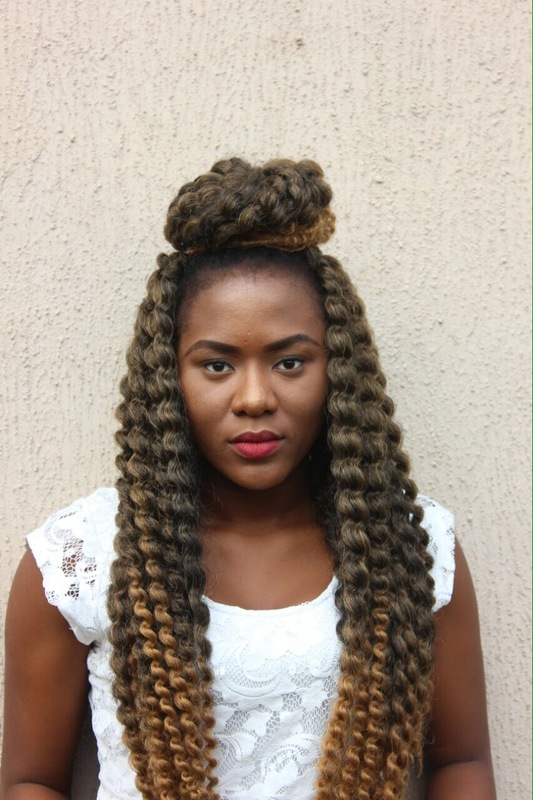 Take a section from the front part of the hair and secure it firmly with an elastic band. Loosen the secured section by lightly tugging at the underlying bit to conceal the elastic band. Take the sectioned part from style 3 and roll it on itself, secure the end with a bobby pin or another elastic band. Throw on your favorite accessory to complement your look; a headband, headchain, flower crown, the options are endless. In all, don’t forget to pay attention to your natural hair, ensure you wash, moisturize and seal regularly. 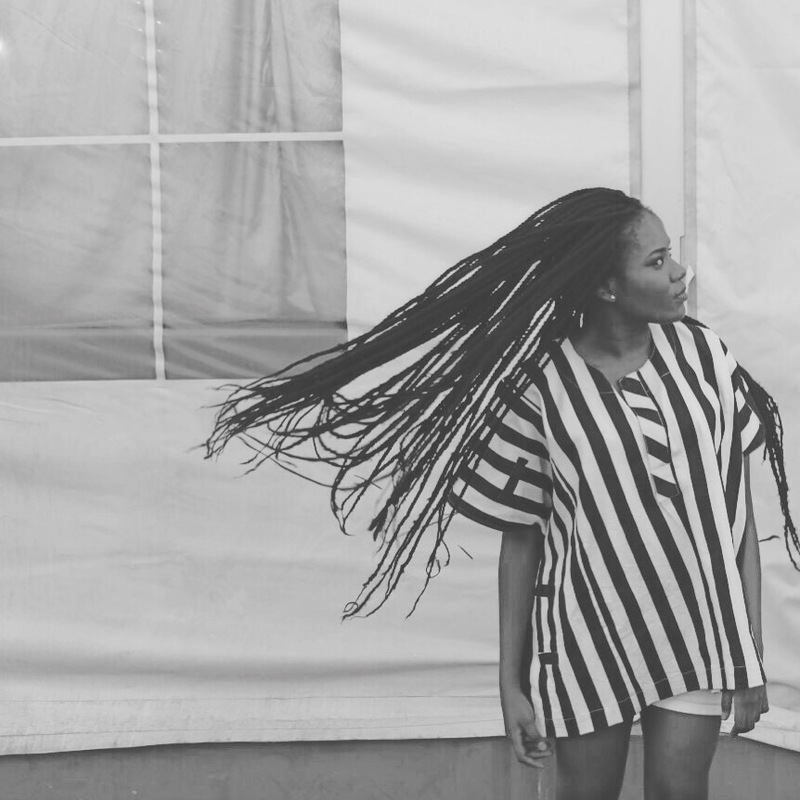 Don’t leave a protective style in for too long and best of all, soak in the warm sun rays and have fun! One of my resolutions for this year is to try more protective styles and my go-to is wigs. 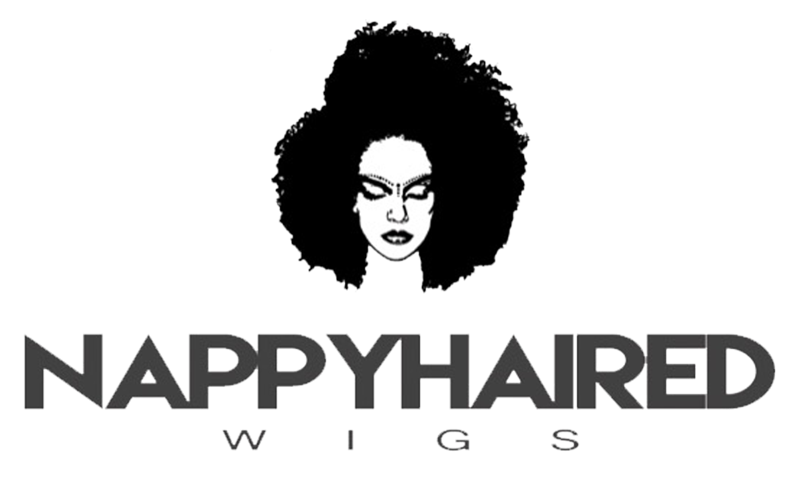 They’re perfect for protective styling and still give you access to your hair to wash, deep condition and have all the necessary treatments on weekends or at your free time. If you’re are a beginner at wig making, you might want to try making wigs using the flip over method or bonding glue to help with the closure. There is a video at the end of this post to guide you. 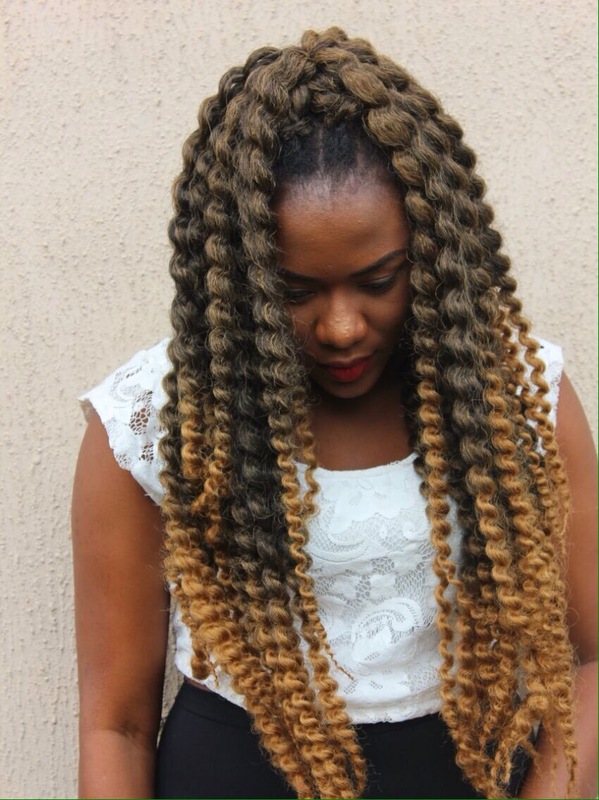 When you feel more confident, you can try using the lace closure. I apologize for being MIA these past weeks but I’ve been busy, and well lazy. I finally got off my lazy behind and made this crochet wig. Nobody tells you how much work it takes, I mean you would think it is pretty easy when you watch a 15-minute clip on YouTube but it takes a really long time and a good deal of patience.